Botswana has two distinct seasons: the dry season that extends from May to the end of October and the wet or ‘green’ season that lasts from November through to April. The arrival of the first rains after a long, hot dry season is one of the most exhilarating times in the Botswana bush. 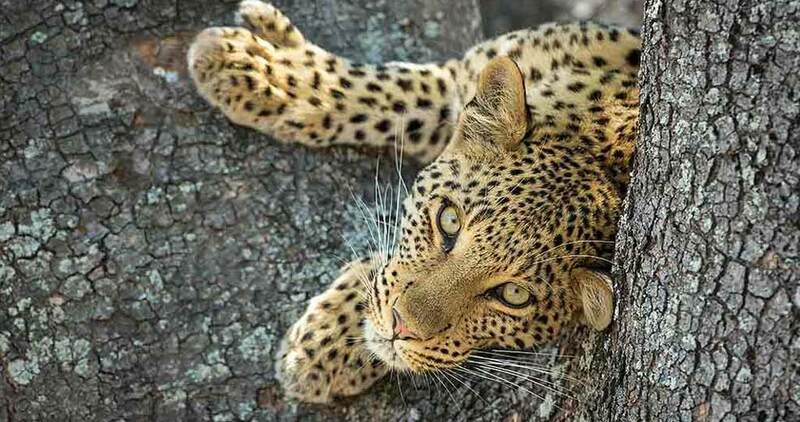 The very best time to visit the desert areas such as the Makgadikgadi Pans and the Central Kalahari Game Reserve, Nxai Pan and Savute is during the rainy season, up until a few weeks after the last rains (November–May). During this time, the scenery is spectacular and the game is abundant. 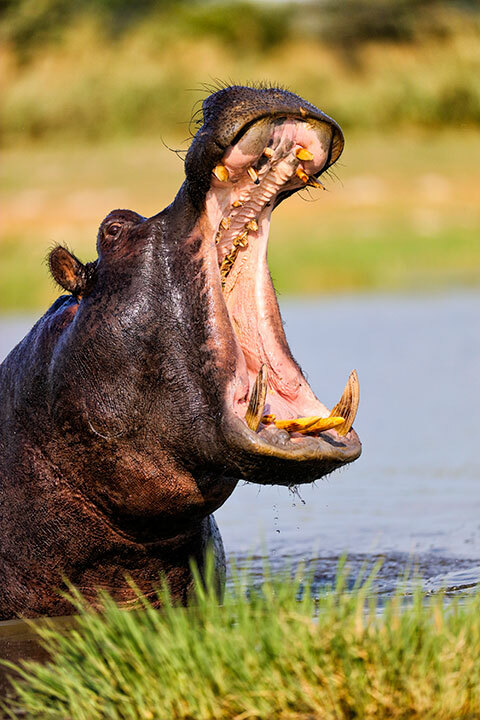 This is an excellent time to come on safari because the herbivores congregate on large open grasslands to give birth, while predators wait for an opportunity to pounce.Although the herds of elephants and buffalo move into the mopane forests there are still plenty to be seen. 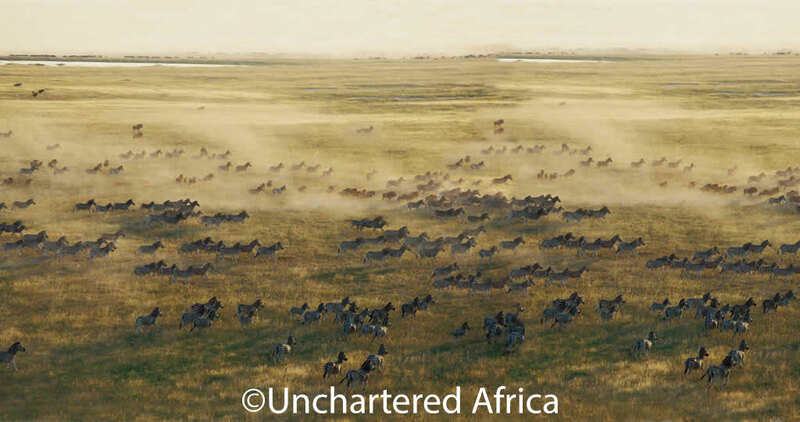 The extensive grasslands become the scene of the annual zebra migrations as they move into Nxai Pan, the Makgadikgadi grasslands and Savute. All the plants are in full flower at this time and migrant species of birds can be observed from mid-November until mid-April. Visitor numbers are very low at this time so it is easy to imagine that you are the only people in the parks. This is when game viewing in the Okavango Delta is at its peak and all the big mammals are concentrated near water making them relatively easy to find. Tall grasses and vegetation have died down after the wet season so game is easier to spot. The temperatures can get surprisingly cold during the winter (June–August) so warm clothing is essential for early morning game drives. Most flights to Botswana originate in Johannesburg, South Africa. Please be aware that you must have two facing blank pages in your passport to enter South Africa. This is very important; you will be refused entry if you don’t meet these requirements, even if you are only transiting. Please also note that if any of your own onward travel plans include spending time in or departing from Zambia (e.g. Livingstone Airport) then you will be required to show proof of Yellow Fever vaccination when arriving in South Africa, even if you are only in transit to your final destination. Four main commercial banks are represented in Botswana, namely Barclays Bank, First National Bank, Stanbic and Standard Chartered Bank, as well as numerous foreign currency bureaus. There are no currency controls in Botswana and most hotels, lodges, travel agents and larger shops will accept international credit cards and travellers’ cheques. All of our seats in each vehicle are equipped with 12v USB type charger for charging camera batteries. 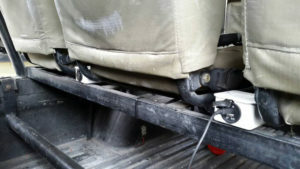 The sockets on the invertor in the front of the vehicle are for the standard southern African 3-prong round plugs, 220 volt. Tipping is welcomed in Botswana and in restaurants the usual 10% is acceptable as no service charge is levied. Guides and safari staff can be tipped at your own discretion according to the quality of their service. A general rule of thumb is US$5 per guest per day for camp staff and US$10 per guest per day for guides. On arrival you will notice the name Lewis Safaris on the vehicle doors. 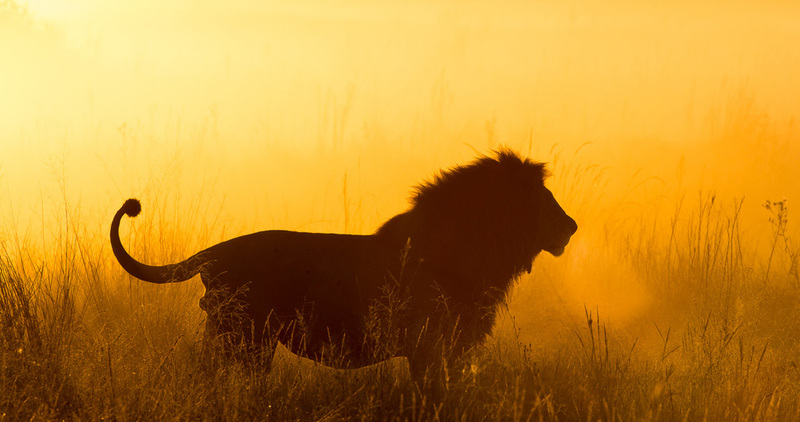 Lewis Safaris is a small 100% owned citizen company. Many local people would like to take the step into tourism but do not have the necessary skills and experience to enter the market. 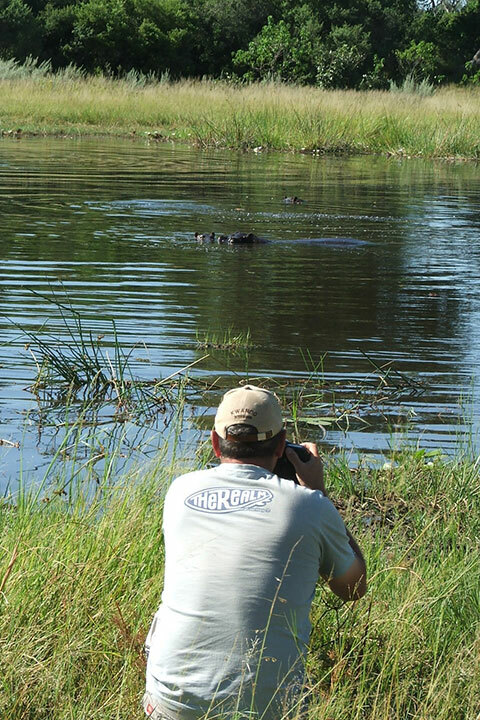 Okavango Expeditions operates marketing and management contracts with companies like Lewis Safaris. 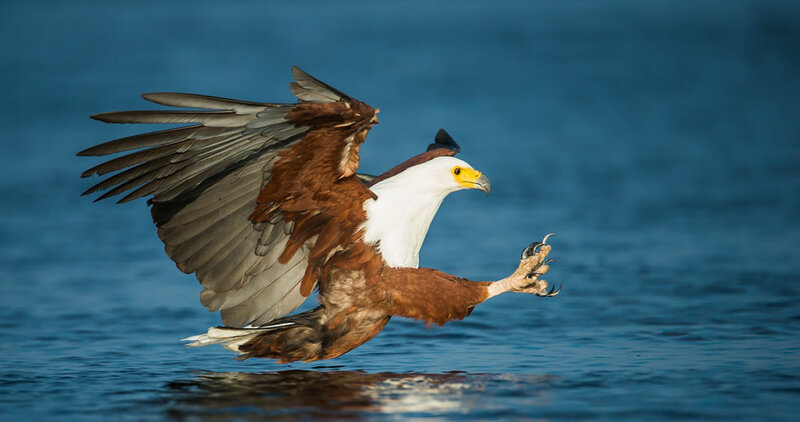 This enables smaller companies to get a foothold in the industry with the advantage of having Okavango Expeditions management and control all aspects of the operation, management and marketing. What camping equipment do you provide? When travelling on a mobile safari, luggage must be compact, light and easy to pack onto a roof rack or trailer. Guests are advised to limit their luggage and to pack in a soft carrier bag. An additional small day bag plus limited camera equipment can be carried by hand. See our “Packing Guide” for full details. How close will we be to nature? Extremely! 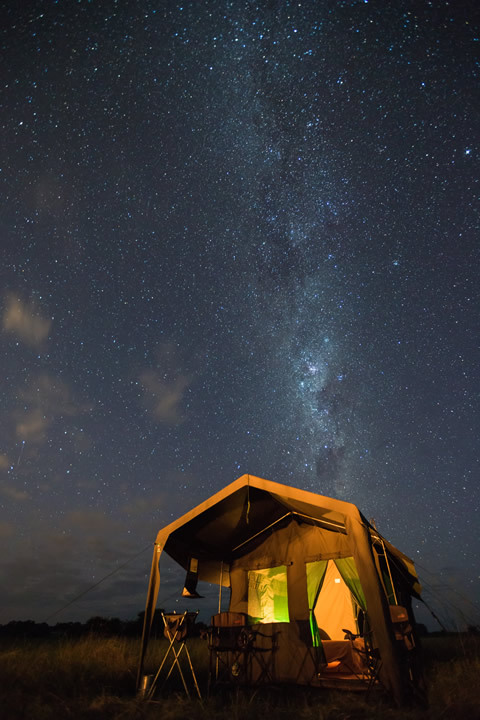 A mobile safari allows you to get up close and personal to nature. The campsites are unfenced and game roams freely. Exhilarating! How remote will the areas that we visit be? The mobility of the camp allows us to access remote areas and enables you to visit a diversity of locations on one safari, ensuring that you get a thorough taste of all that Botswana has to offer. Do we need to participate in camp chores? The serviced safaris include a designated safari team that will set up and dismantle camp, collect firewood, cook and serve your meals. Are the camp sites fenced? The campsites that we use are situated in Botswana’s National Parks and Game Reserves and are not fenced. This allows you to experience the true essence of the bush and ensures a safari like no other. A safety briefing will be given on your first day and each vehicle is equipped with satellite phone communication to guarantee contact with our Maun base. Our guides carry a first aid kit at all times and have been trained in its use. In Maun, a medical evacuation team is on call 24 hours a day, ready to assist at any time. Your safety is paramount to us at all times. Will I have to sign an indemnity form? Yes, on arrival all guests are required to sign an indemnity form before the safari departs. Will there be other guests on safari? Yes we run with minimum 1 guests and maximum 7 guests and will generally consist of like-minded people – unless you book a private safari. There is no single supplement subject to our booking terms and conditions. Yes we do have a vegetarian menu, please advise us of your dietary requirements when booking. What are the pickup and drop off times in Kasane? Usually at Maun or Kasane airport in time for the midday flight. How much time do we spend driving – The safari in essence is a mobile safari so you spend a large part of the time in the vehicle. Please be aware that all roads are unpaved, some are mere tracks and some cross rivers – this can be bumpy and sandy! Your safari does include a safari guide and cook, however the Botswana Adventurer Safari is a participation style safari and guests will be required to assist with all camp chores, e.g. pitching tents, making fires, dishes etc which gives guests a true mobile camping bush experience. Each vehicle is equipped with satellite phone communication to guarantee contact with our Maun base. Our guides carry a first aid kit at all times and have been trained in its use. A safety briefing will be given on your first day. The Botswana Adventurer Safari departs with a minimum of 2 guests and a maximum of 9 guests. Failure to be at designated pickup points will result in arranging your own transfers at your own expense to the campsite in Chobe National Park.